Have you ever sat back and considered all the people you have been in touch with over your life? Deep family relationships, fleeting friendships, counter clerks you see on a regular basis or even your local barman. Faces may spring to mind of relationships past, names that dance on the tip of your tongue, all relationships that were but are now separated by time or distance. Some relationships come easier than others but may be fleeting, while others are harder to cultivate but offer a greater bond over time. The special people who have in your life you likely spend plenty of time with, sharing laughs, hardships, celebrations and joy together. This is an important part of building and strengthening relationships, but there are also other ways to show you care about the people who are by your side through thick and thin. A thoughtful game of hide and seek with handwritten notes, place the notes in places your loved ones are likely to put their hand or see on a regular basis, good examples include; in clothing drawers, inside of cabinets or cupboards, in cereal boxes, let your imagination run wild! Notes can be anything from motivation phrases to a heartfelt handwritten “I love you” for a lovely surprise. Say it with flowers! Or chocolate gifts, or a small toy (for the little one’s good behaviour) and show you appreciate those close to you with a token of your affection. Go posh with some Charbonnel et Walker truffles from the prestigious London chocolatier or simple with a beautiful bouquet of sunshine coloured blossoms. Brighten the day of someone you love and surprise them with a gift to make them smile. Whether it’s breakfast, lunch or dinner in a cafe or restaurant, posh or to-go or even a takeaway on the sofa with a good movie, there’s no better way to say you appreciate someone than with the gift of food. Take your partner out for a romantic candlelit dinner to the sultry tones of a live Jazz band or treat the whole family to an all-you-can-eat pizza buffet at everyone’s favourite sit down pizza restaurant. If schedules keep misaligning but you know they would enjoy a good bite to eat, pop a gift card in the post with a “thanks for being you” note or simply send round some cake! Whether your loved one is into theatre, music or sports, a night out is just the thing to show you care. Treat them to a pair of tickets to use at their leisure or alternatively, surprise them with a fun-filled night from start to finish. London is usually an active city with plenty going on and the famed West End, but your only restriction is travel and cost. Know someone that’s always wanted to drive a race car, see the world from a hot air balloon or try a heart-racing skydiving experience? Experience days make the perfect gift for someone active and outgoing and there are plenty of multi-experience gift packages available that allow the gift receiver to choose their experience to take part in. What better way to show you love someone than by fulfilling a dream wish? When physical gifts or offerings fall short of showing someone how much they mean to you, simply reach out to them and remind them that you are there for them. You are there to support their hardships, their struggles and be the first to cheer them on in their celebrations and achievements. 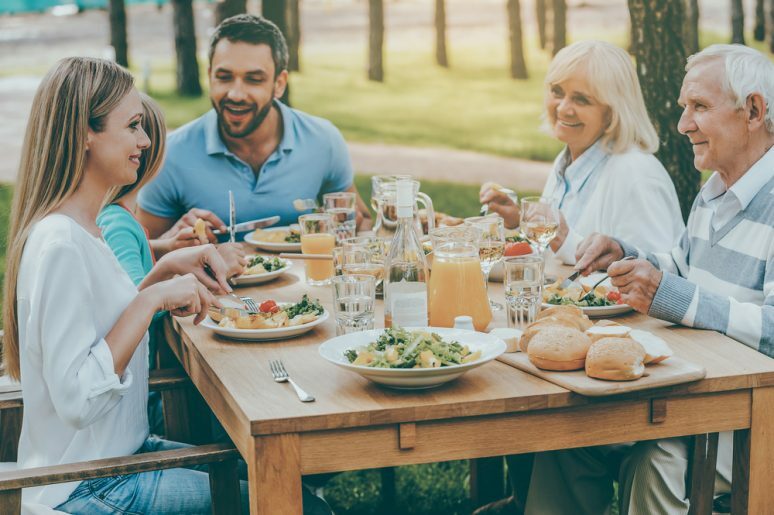 These small gestures can contribute greatly to the strengthening of bonds between family and friends, especially when time gets away from us and it has been sometime between talking to or spending time with each other. When we face our own personal struggles or challenges, these special people in your life are usually the first ones to spring to your side and offer support and well-wishes. It’s only right that you return the favour and make your loved ones know how much you truly care about them and everything they do for you.